Don’t worry, we’ll cancel your current card and provide you a replacement card with your remaining bus pass activity and your active merchant rewards. 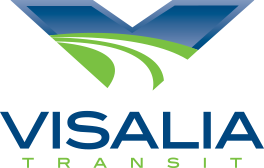 To receive your replacement card, please visit the Visalia Transit Office during normal business hours M-F. Replacement cards will be charged a $2 fee. If you have any questions, please call 1-877-40-Go Green (1-877-404-6473). Beyond the energy benefits, by investing now in public transportation we can also strengthen our economy, protect our environment, and enhance our quality of life.